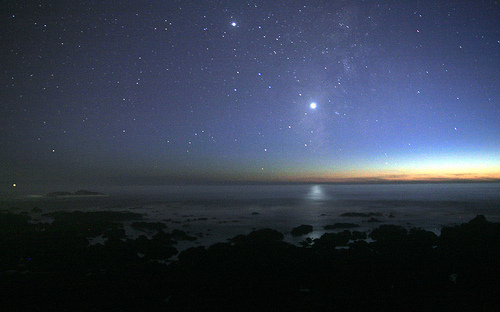 As it happens, the morning star and the evening star are both Venus–but the solar system might have evolved so that Mercury, for instance, was the brightest star in the morning sky. Thus the morning star has a property that the evening star does not have: It’s necessarily identical with the morning star. And if the morning star and the evening star have different properties, then they’re not the same object after all.